Savor the best from the culinary world with carefully selected ingredients sourced both locally and globally to please your palate. 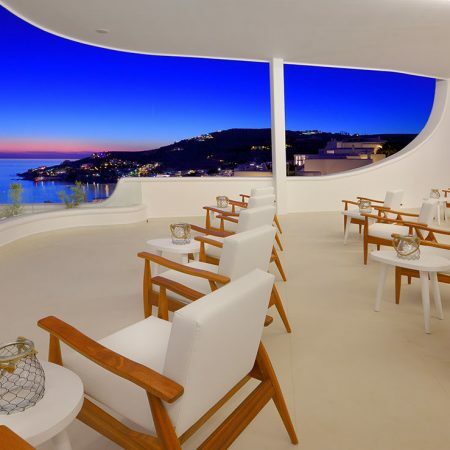 Quality cuisine, interesting suggestions, expert service and a vivid atmosphere will offer a culinary journey that traverses the Mediterranean all the way to Mykonos. 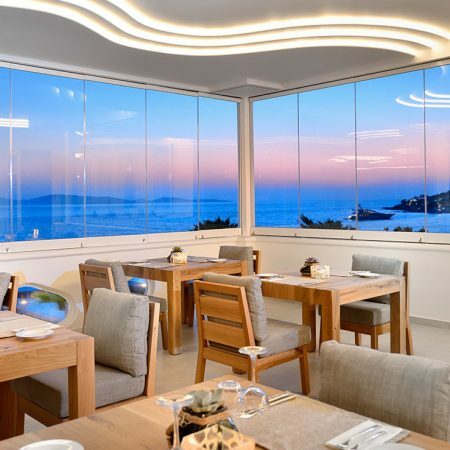 The finest of dining is savored at the new stunning venues of Anax resort, offering dishes to please every palate. 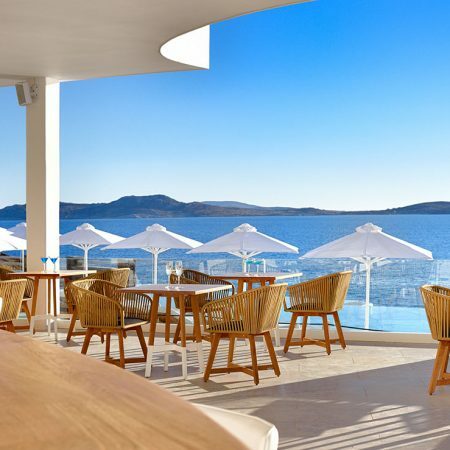 Indulge in casual outdoor dining, from refreshing breakfasts to an all-day menu of fresh salads and delicacies prepared with local organic produce, or luxury pool lounging over the captivating sea views on the horizon. Relish yourself with a touch of style and sophistication at the Anax’s resort bars the ultimate venue to mingle with friends. 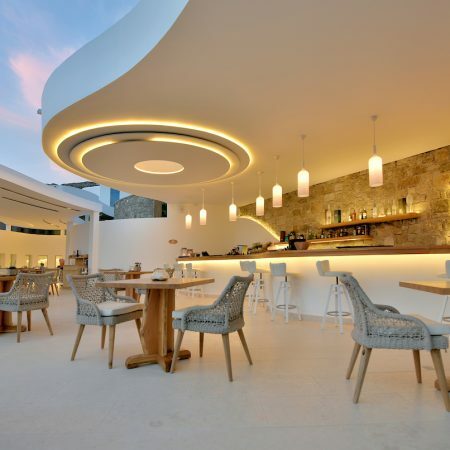 Distinct options, delectable dishes and mouthwatering drinks, combined with unique indoor and outdoor spaces of our luxury hotel, transform your dinner or cocktail into a legendary experience. Indulge in pleasant conversations over a glass of champagne or an exotic cocktail by one of our expert mixologists at the Luminous Lobby Bar. Enjoy a stylish spot with a warm atmosphere accompanied by the sounds of pleasant lounge music.